Paul Foster presents an ingenious method for cooking delicate white fish in his butter-steamed lemon sole recipe. The fillets are placed on a sheet of buttered parchment paper and into a hot pan, ensuring a gentle heat is used to cook and steam the fish to perfection in just a couple of minutes. 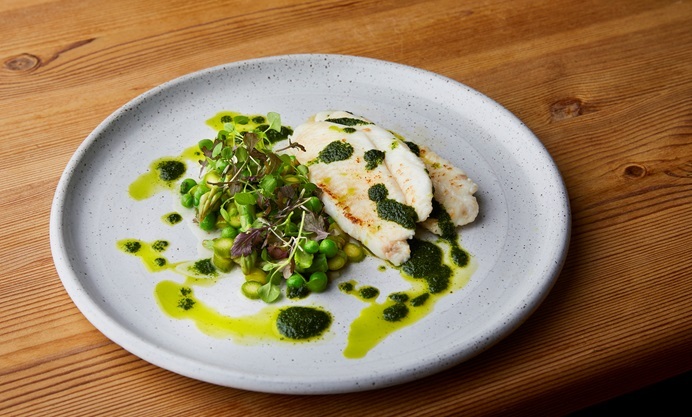 The sole is served with a salad of peas and asparagus and a stunning garden pesto.